HMD Global claims that the Nokia 7.1 is the first smartphone to have PureDisplay screen technology for HDR10 cinematic quality entertainment. After unveiling it in some international markets, HMD Global has finally brought the Nokia 7.1 smartphone to India with a slew of eye-popping specifications like an HDR display, Zeiss Optics and 2PD camera technology. The Finnish company says that the Nokia 7.1 will go on sale starting December 7 and will be available across top mobile retailers as well as on Nokia.com/phones at a recommended best buy price of Rs 19,999. This is a lower price tag than the cost of the device in European markets, where it was launched for EUR 349 which is approximately Rs 27,700. HMD Global, a 20-month old company, has managed to reach the top 10 smartphone brands list globally and is doing well in Europe. In third quarter of 2018, HMD Global shipped 4.2 million units of Nokia smartphones registering 71 percent of year-over-year growth, says Counterpoint Research. Nokia was a household brand in India before it slowly faded away, but later it joined hands with Google to bring Android on the device, which played a major part in the brand’s revival. 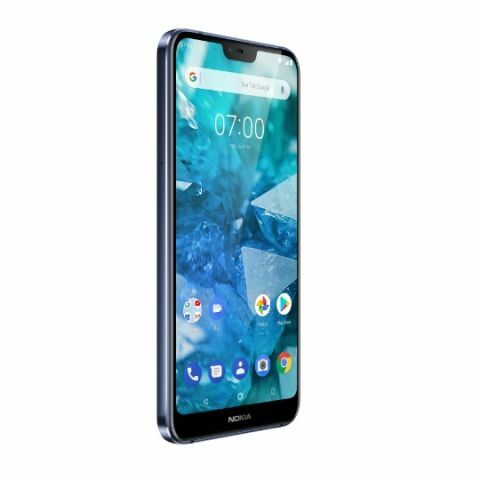 The Nokia 7.1 comes in two variants - Gloss Midnight Blue and Gloss Steel and both will be available starting next month. Airtel prepaid customers on Nokia 7.1 can enjoy 1TB of 4G data on eligible plans starting at Rs 199. Airtel postpaid customers can get an additional data of 120GB along with three months of Netflix subscription and one year of Amazon Prime subscription on plans starting Rs 499. Consumers who purchase the Nokia 7.1 using HDFC Bank Credit and Debit cards on EMI transactions done through Pinelabs terminals in offline stores will receive a 10 percent cashback. The Nokia 7.1 has design techniques found in jewellery and high-end timepieces and has dual-anodised aluminium diamond cut coloured edges. 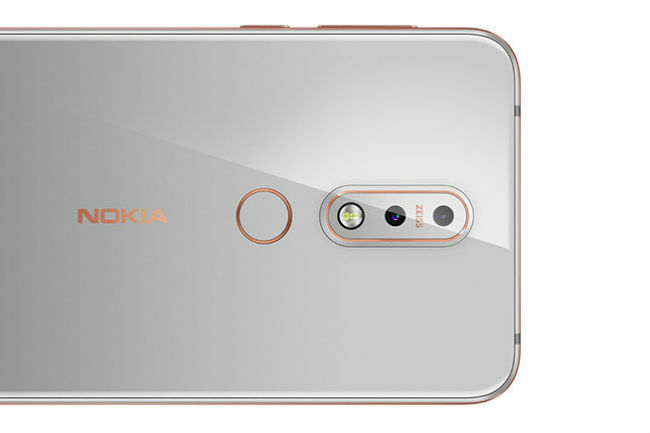 HMD Global says that each Nokia 7.1 device is crafted from a 6000-series aluminium CNC machined frame which is sandwiched between glass sheets that have been shaped at the edges for comfort. The Nokia 7.1 is claimed to be the first smartphone to come with PureDisplay screen technology for HDR10 cinematic quality entertainment. The smartphone offers higher contrast (1,000,000:1 dynamic contrast ratio) and clarity to match the HDR content which is currently been supported on YouTube, Netflix and Amazon Prime Videos. The 5.84-inch Full HD+ notched display offers a 19:9 screen ratio display and the company claims that with PureView technology, the non-HDR content can be up-scaled in real-time using a dedicated 16-bit engine. The Nokia 7.1 is powered by the Qualcomm Snapdragon 636 SoC, which also powers the Nokia 6.1 Plus and a few other phones in the same segment. It has a USB type-C fast charging port which is claimed to deliver up to 50 percent of the 3060mAh battery in 30 mins. When it comes to the camera, the Nokia 7.1 sports ZEISS Optics dual-camera setup on the back with 12MP and 5MP sensors. While the 12MP camera has f1.8 aperture and 1.28um pixel size, and the secondary 5MP shooter has a f2.4 aperture and 1.12um pixel size. The sensors come with photodiodes (2PD) technology that help them absorb much more light than devices with a single photodiode of same number of pixels. 2PD technology enables fast and accurate autofocus in both bright and low light conditions. The sensors also come with the Electronic Image Stabilisation (EIS) technology. There is a front-facing 8MP camera with f2.0 aperture. There is a new camera UI on the phone that give users control of white balance, ISO, focus and shutter speed using the Pro Camera Mode. ​The Nokia 7.1's AI-enhanced front facing camera introduces facial recognition to deploy animated 3D personas/masks and filters. Users can live stream their “bothies” with just one touch to Facebook and YouTube directly from the camera app. Google Lens and Motion Photos can also be accessed directly from the app quickly. “We know a lot of our fans in India enjoy creating videos and watching content on their smartphones. That’s why it was important for us to bring both ZEISS optics and PureDisplay technology together in a versatile device that offers a superior content experience, regardless of whether you’re taking photos for your social media or watching the latest series on your favourite streaming service. With real-time SDR to HDR conversion, more fans can enjoy a premium viewing experience across content. And with the integrated ZEISS optics, fans can take advantage of rapid auto focus and capture incredible HDR photography as well,” Ajey Mehta, Vice President and Country Head, India, HMD Global, said in a statement. 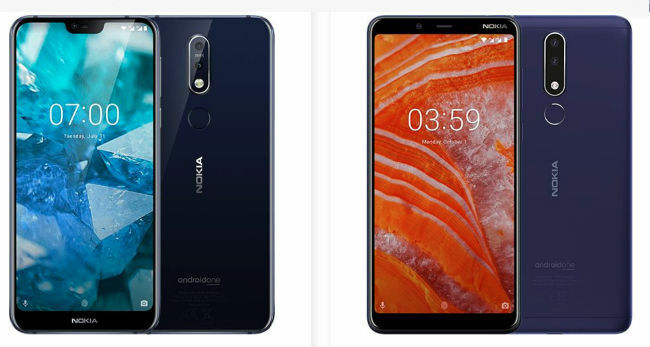 The Nokia 7.1 joins the comprehensive line-up of other Nokia smartphones in the Android One family. This means that the smartphone will receive three years of monthly security patches as guaranteed in the Android One programme. The smartphone has recently received the Android 9 Pie upgrade but there is no information whether it will be available with Android Pie out-of-the-box in India. In addition, the device offers free unlimited high-quality photo storage with Google Photos. when will NOKIA 6 Second generation be launched in INDIA ???? Can anyone tell anything about it ? what is IPS technology in display? Which technology is used by Metro trains in India ? Does any body know when MOTO G2 will launched in INDIA ?